Liverpool Council scrap controversial busking policy. 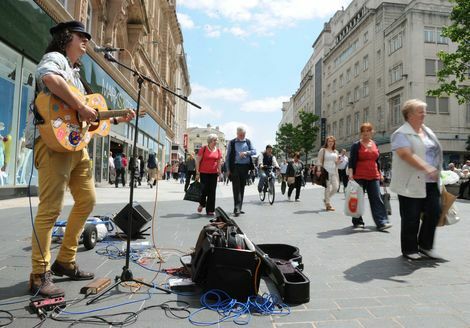 Liverpool City Council has scrapped its controversial busking policy. 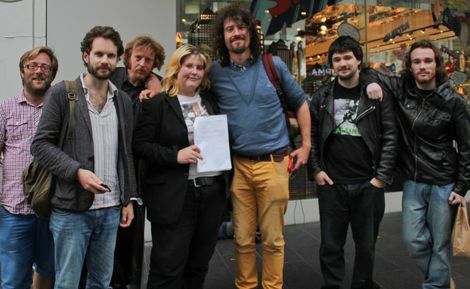 The decision comes three weeks after Keep Streets Live campaigners applied for a High Court injunction, barring its enforcement, saying it was unlawful, unreasonable and irrational. Following the intervention, the council suspended the busking policy insisting a review was to be held. 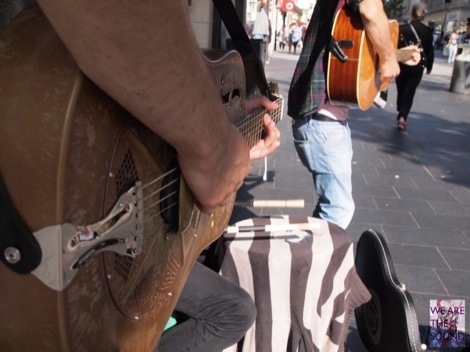 Today the Council has said it has scrapped all plans to bring in a busking policy. A whole raft of new rules to “benefit buskers” sparked an outcry when they were introduced in July. The Council required acts to obtain £20 work permits, compulsory public liability insurance costing over £100, a ban on under-18 performers and the Simon Cowell clause which would allow any civic or police official the power to pull the plug on a performance if they judged it not to be good enough. Mayor of Liverpool Joe Anderson said: “The common sense approach is for us to agree not to implement the policy so that the unnecessary court proceedings, with the associated costs for both sides, can be brought to an end. And we can instead get on with working together to deliver a solution which will satisfy everyone. 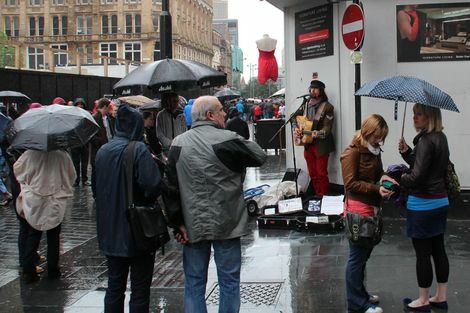 Getintothis exclusive: Campaigner tells Council to drop busking policy. Picture courtesy of Mersey Mongoose.